Jerusalem, Israel - 4-6 Ha' Nevi' Im St. 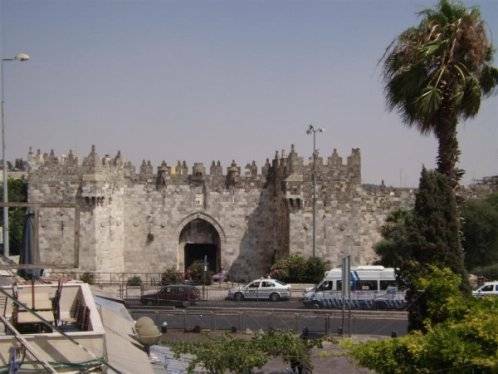 Located opposite Damascus gate, the New Palm Hotel & Hostel is your ideal base to explore the wonders of the holiest city on earth. Within a few minutes' walk you can reach all the amazing sites of the old city such as Dome of the Rock, Church of the Holy Sculpture and the Western Wall, as well as the nightlife of the new city. The newly renovated (2009) New Palm Hotel & Hostel has an entire new section, offering best value accommodation for backpackers, independent travelers, couples, families and small groups. In this beautiful 200 years old building we offer various accommodation options: different private rooms, from single to twin/double rooms, triple rooms and family rooms (4 beds). 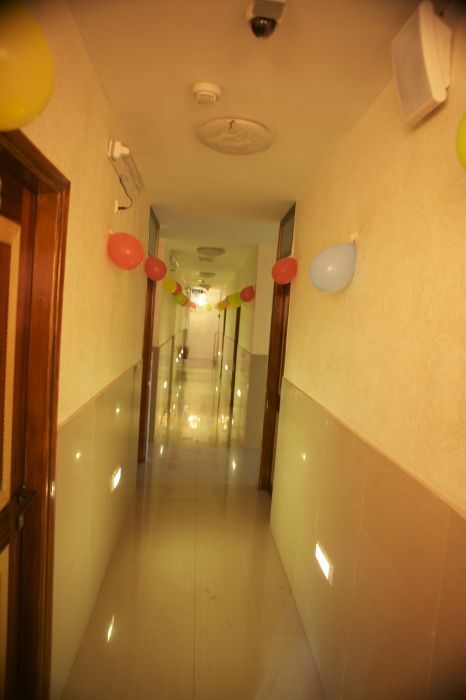 All private rooms include attached shower & toilet, air-condition and linen. 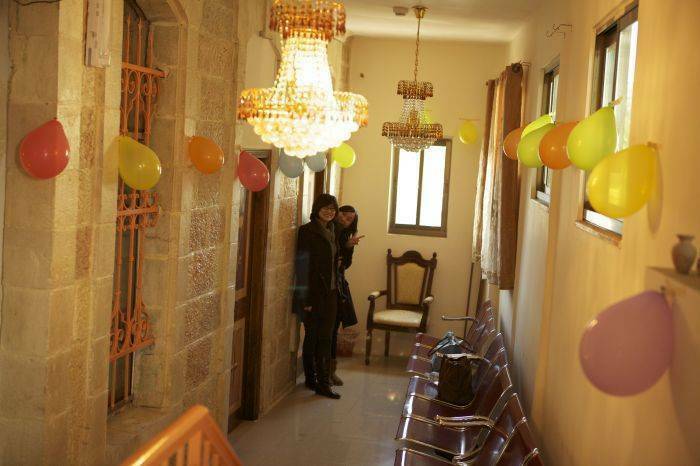 We also offer dormitory accommodation (mixed/female dorm) most of them with attached bathrooms. 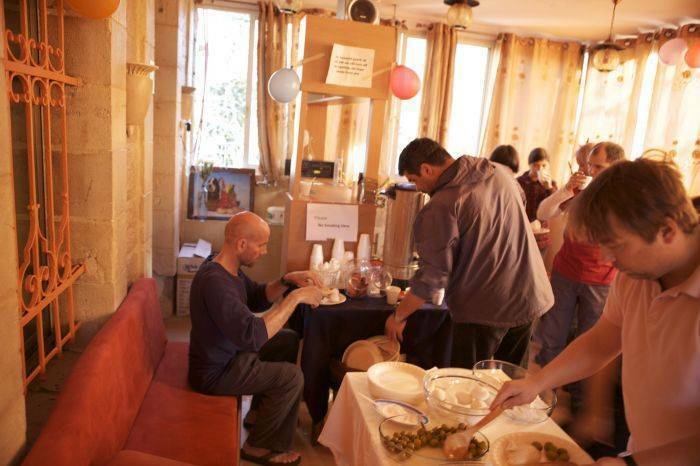 In the heart of East Jerusalem you are welcome to feel at home and enjoy a warm atmosphere and great facilities, such as Free internet, free WiFi, free tea/coffee, Nargila, rooftop coffee shop, sunrise tour to Massada, organized tours to northen Israel and more. Dear friends - there is no other city like Jerusalem in the entire world. 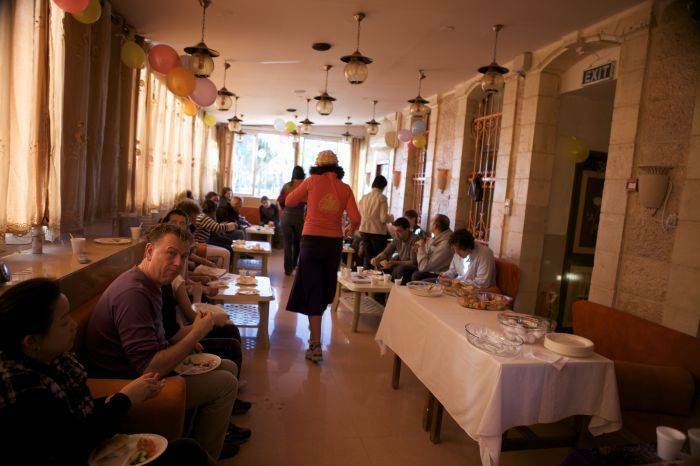 We invite you to come to New Palm Hotel & Hostel and experience Jerusalem at its best! You may cancel your booking up to forty-eight hours before arrival. DEPOSITS ARE NON REFUNDABLE IN ANY WAY.